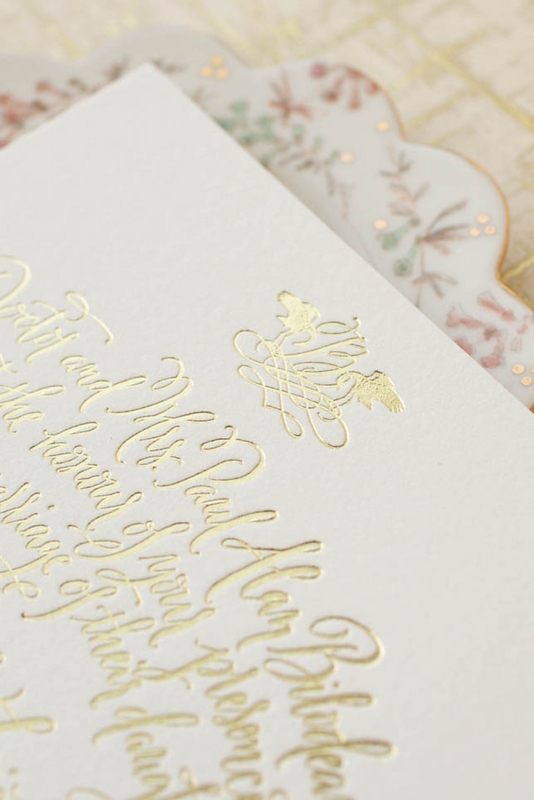 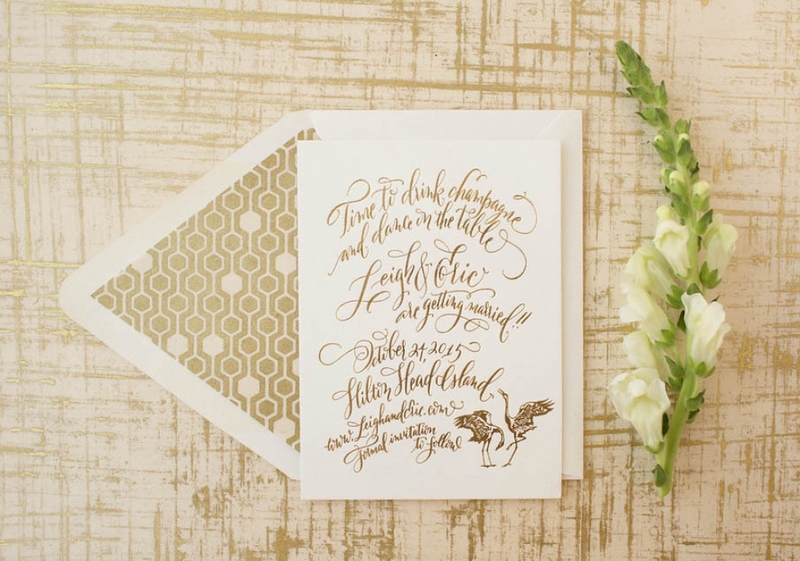 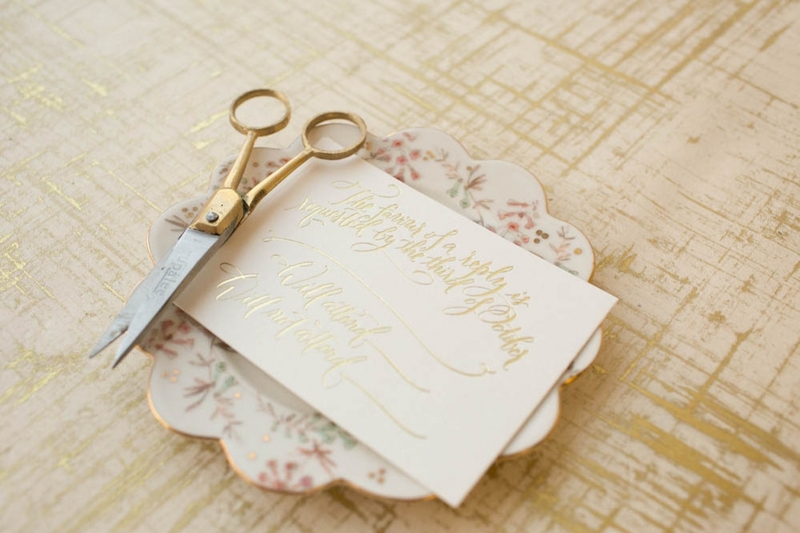 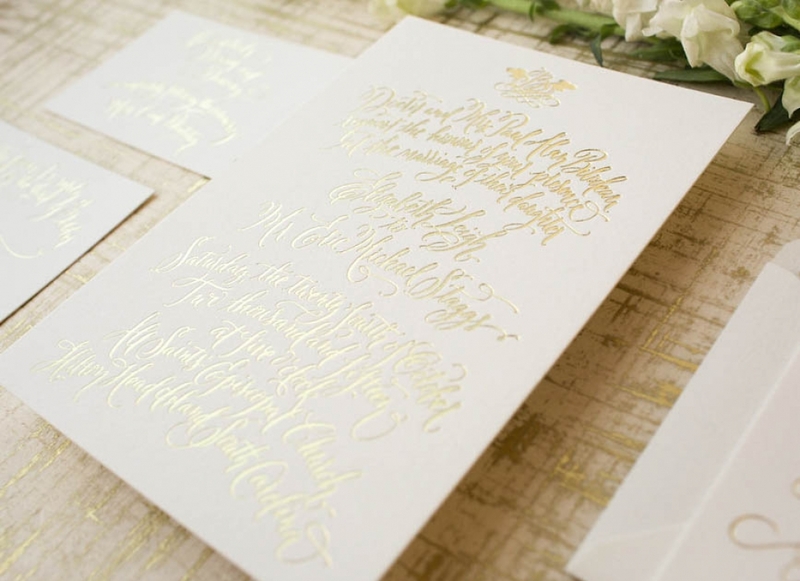 Romantic gold foil + all hand-calligraphy were in order for this festive + FUN Hilton Head Island wedding! 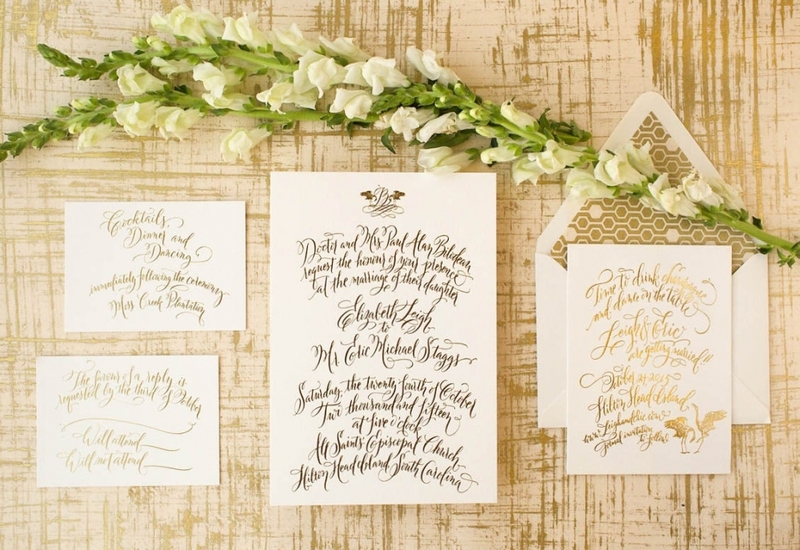 Starting with Save-the-Dates, this couple mixed glamor + tradition in their fun-loving approach to the wedding. 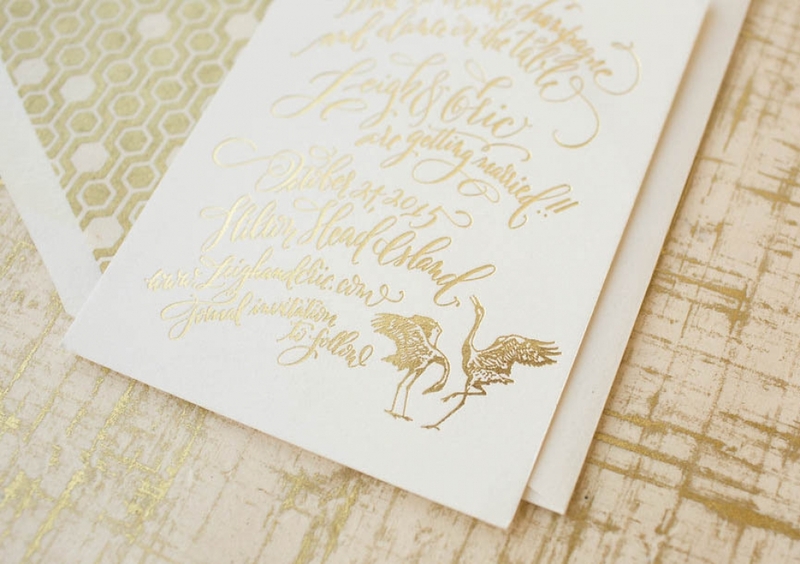 A special custom illustrated pair of egrets were incorporated into both the Save-the-Date design + later the couple’s monogram that was printed on everything from invitations to napkins, programs, menus + more. 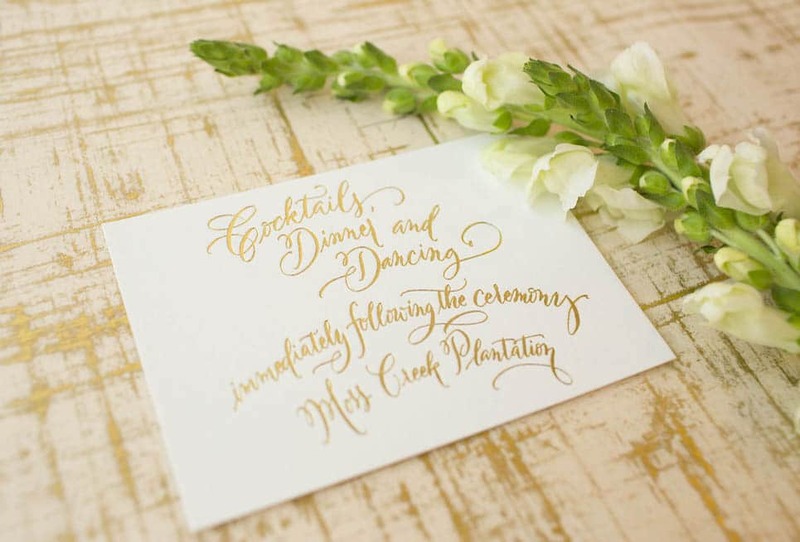 Whimsical calligraphy was used on each piece to welcome guests to a one-of-a-kind celebration.